Translated by Heinz Nagel and Leni Lobez. 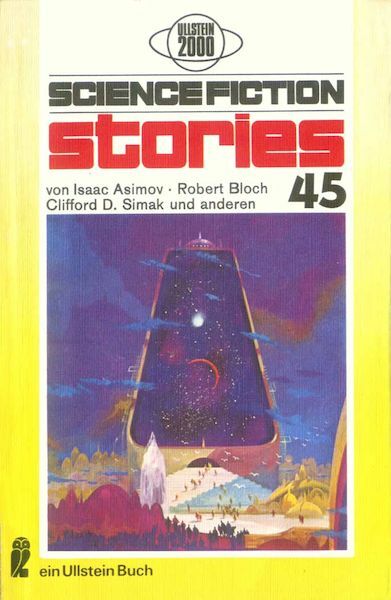 Four of the shortfictions are taken from the anthology "The Space Magicians", one was added by Spiegl from a Clarke collection. Copyrights are assigned for the year 1971 to Alden H. Norton and Sam Moskowitz. The last page of the final item (p. 124) is unnumbered. The actual credit for the cover art is from the title's parent: the copyright states 'Fawcett/Roehling'.